Goodbye hilton head. Your trees were always nice. This entry was posted in hilton head, voyage. Bookmark the permalink. Have room for another correction? Those trees look a lot like Bluffton trees. 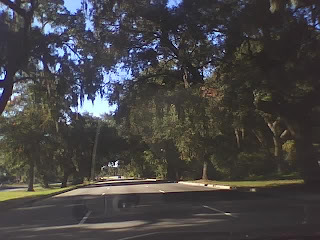 Near Moss Creek. On Route 278 as one leaves Hilton Head Island. You are correct of course. My intention was the show the view as one leaves the island, out into the big world. I also just kinda generically refer to the whole area as “Hilton Head” now, because no one outside SC knows what Bluffton is.